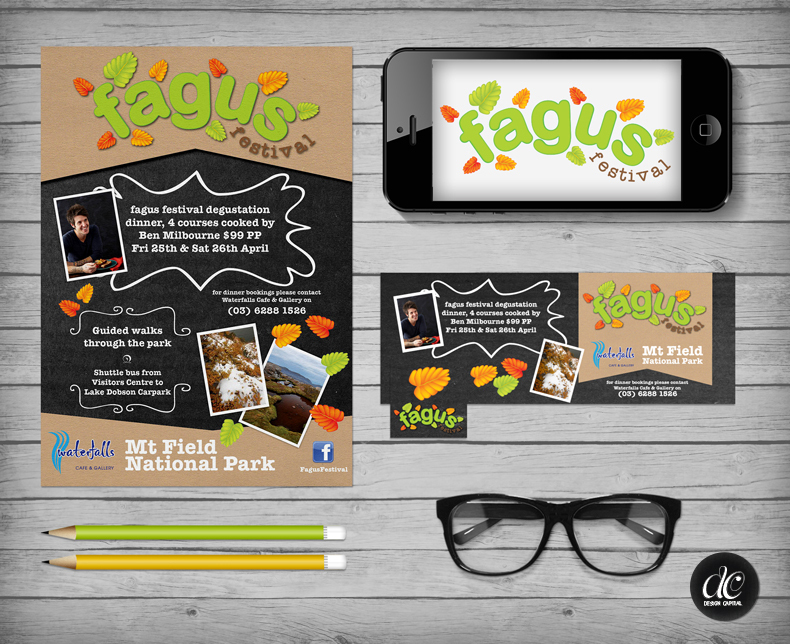 Design Capital (aka Donna's Creations) created the logo and branding for the annual Fagus Festival in Mt Field Tasmania. I really enjoyed working on this project with Fagus Festival organiser Rachel Power. I designed their logo, posters and matching Facebook page.